Co-chairs: Khamraev Sh.R., Nysanbayev Ye.N., Rakhimzoda S.N., Bayjanov G.N. 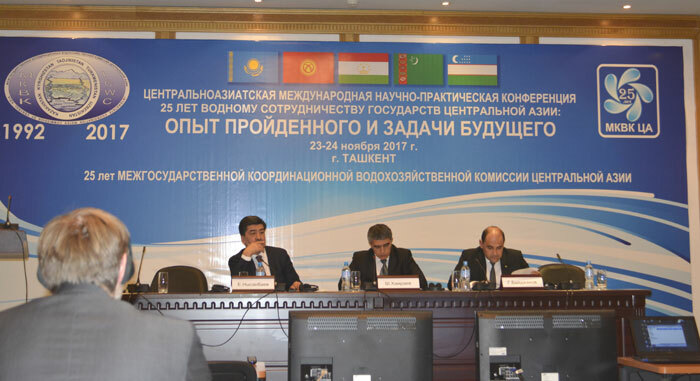 The roundtable addressed the issues of transboundary water cooperation as a driver of food, energy, and environmental security in Central Asia. During the roundtable 9 reports were presented and covered various aspects of transboundary water management in the region and of interstate cooperation in water sharing, as well as such issues as water diplomacy, introduction of water saving technologies, development of water management capacities, challenges faced by the region’s countries, forecasts of agricultural development in transboundary basins, etc. Mr. I.Khushvaktov, Deputy of the Legislative Chamber, Oliy Majlis of the Republic of Uzbekistan, member of Committee for ecology and environmental conservation, in his presentation addressed the problems related to drying up of the Aral Sea and actions taken by Uzbekistan to mitigate negative consequences of the ecological catastrophe. He stressed a need for integration of efforts of all countries in the region in order to solve the problems caused by this catastrophe and continue collaboration in the region under the umbrella of IFAS. He also underlined the role of the ICWC as a platform for addressing of common water issues. 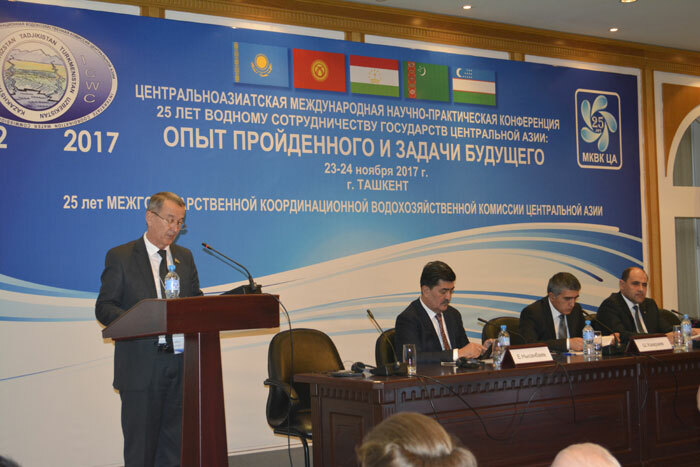 The reporter supported the initiative of the UN Regional Centre for Preventive Diplomacy for Central Asia (UNRCCA) on reviewing by the region’s countries of draft Conventions prepared by UNRCCA on the use of water resources in the Amudarya and Syrdarya basins. In his report Mr. D.Kholmatov, Head of Department for Water-Energy Policy, Scientific and Technological Development at the Ministry of Energy and Water Resources, Republic of Tajikistan noted that Tajikistan, given available huge reserves of water resources and hydropower potential for its sustainable development, also understood the importance of cooperation with neighboring countries for effective development and use of these resources to the benefit of the Central Asian region as a whole. 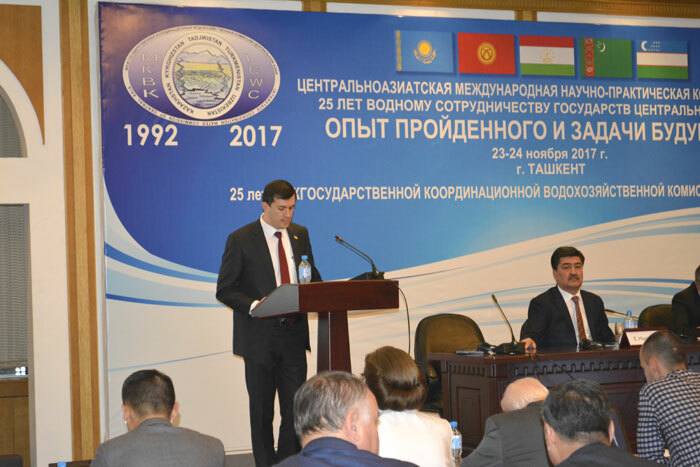 He particularly observed that cooperation in sustainable water management and use in Central Asia was a key factor of socio-economic development in the region. Mr. Ya. Paschiev, Head of Department at the Ministry of Agriculture and Water Resources of Turkmenistan presented to the participants the development of the water sector in Turkmenistan and measures taken by the state to promote advanced water saving technologies, particularly drip irrigation and sprinkling, and ensure comprehensive reconstruction and reclamation of land in order to improve water supply of irrigated land and use water more efficiently. 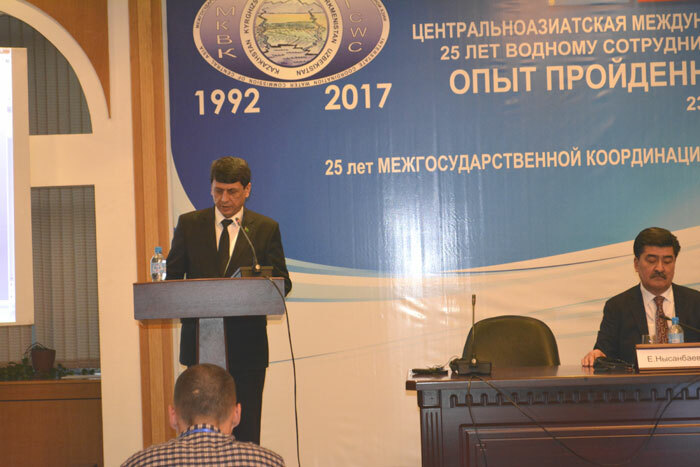 Mr. A.Salokhiddinov, Head of Department at Tashkent Institute of Irrigation and Agricultural Mechanization Engineers (TIIAME) presented activity of the Institute in part of preparation of high-qualified personnel and underlined priority lines of cooperation in water sector capacity building in Uzbekistan. Particular attention was given to improvement and coordination of water education, joint development and unification of curricula and training resources, joint research, and the urgent need for young researchers and designers for the sector. Mr. A.Nikolayenko, Regional Advisor of the GIZ TWMCA Programme, presented the history of institutional development of the interstate water cooperation in the region, gave assessment of the current institutional mechanisms of cooperation, showed shortcomings and alarming challenges in this field. The need for improvement of the institutional structure under umbrella of IFAS, development of cooperation between ICWC and ICSD, and capacity building of their executive bodies was underlined. Mr. Sh.Muminov, leading expert of SIC ICWC, showed forecast scenarios of agricultural development in the Amudarya basin until 2050. Particularly, he analyzed the long-term strategy of agricultural development, potential growth of population and showed the forecast of agricultural production and provision of population with main food items. Mrs. G.Nurmukhamedova, Chairman of Global Water Partnership for Central Asia and Caucasus, and Mr. S.Gevinian, Consultant of the International groundwater resources assessment center (IGRAC) and IHE-Delft Institute for Water Education presented to the participants activities aimed towards enhancement of regional cooperation from the side of the Global Water Partnership for Central Asia and Caucasus, the International Groundwater Resources Assessment Center and the Institute for Water Education. 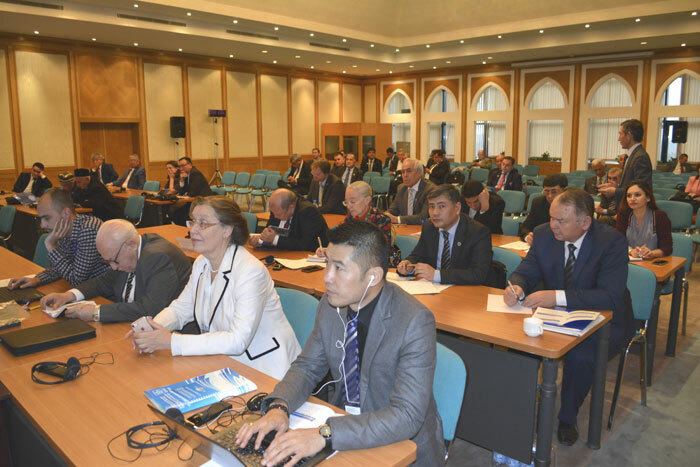 As a whole, the participants of the roundtable observed that mutual understanding and comprehensive cooperation of the region’s countries in the field of transboundary water use would contribute to sustainable development of Central Asian countries and help to solve emerging issues. The participants particularly noted the key role of the ICWC as a platform for effective water cooperation among the countries.